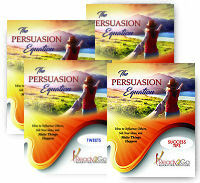 Success Tips: The Persuasion Equation - How to Influence Others, Sell Your Ideas, and Make Things Happen! from Ready2Go Marketing Solutions, Inc.
With twelve 250-400 word professionally crafted 'mini' articles, you can educate, inspire and entertain your clients while helping them become more influential in their families, workplace and communities. 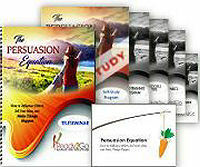 Your clients will learn persuasion skills that will build their confidence, harness their inner strength, and help them to get more of what they want in life.